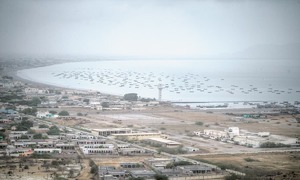 Mir Ibrahim Bizenjo owns land – a huge amount of it – in various parts of the coastal district of Gwadar. 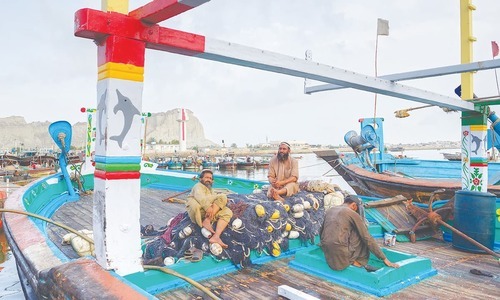 He also owns a lot of large motorised fishing boats — some registered in Pakistan, others in Oman across the Arabian Sea from Pakistan’s Makran coast. And he has a business partner, Mir Imam Bizenjo, who is known as far as the United States. The two are related too: Ibrahim Bizenjo’s son Charagh is married to Imam Bizenjo’s daughter. The latter has been designated as a drug trafficking “kingpin” by the United States since 2009 under a law that bars “significant foreign narcotics traffickers” from doing business with American banks. A list of such “kingpins” issued by the American government referred to him with various aliases including Imam Bheel. Imam Bizenjo has been in the news – both before and after that designation – for all the wrong reasons and yet he has not attracted much public attention. Way back in 1998, he was named as a mastermind behind a passenger plane hijacking. The plane was flying from Turbat city in Balochistan to Karachi on May 24 that year when three armed hijackers forced it to land in Hyderabad, about 160 kilometres to the northeast of its original destination. The hijackers were overpowered a day later. During investigations, they claimed to be belonging to a student organisation from Balochistan and said they wanted to register their protest against Pakistan’s decision to conduct its nuclear tests in their province’s Chaghai district later the same month. They were subsequently hanged in 2015. Imam Bizenjo was never arrested or tried in the case. When General Pervez Musharraf removed Nawaz Sharif’s government in 1999, Imam Bizenjo sought help from Zubaida Jalal, a politician from his native district of Kech in Balochistan, to have his name cleared in the hijacking case. In return, he promised to help her win a National Assembly seat that then comprised Kech and Gwadar districts. Jalal told Reuters news agency in 2012 that she agreed to help him because he said he had left drug trafficking “many years back”. After she won the election in 2002 and became the federal minister for education, a court hearing the hijacking case dropped charges against Imam Bizenjo over a lack of evidence. Jalal and Imam Bizenjo had a falling out later so Imam Bizenjo put his son, Yaqub Bizenjo, as a candidate against her in the 2008 election. She lost the poll to Yaqub Bizenjo by a margin of 28,000 or so votes. During his son’s tenure as a member of the National Assembly over the next five years, Imam Bizenjo and his family made headlines twice — and for violent crimes on both occasions. In the summer of 2009, a parcel bomb exploded at Yaqub Bizenjo’s residence in Karachi’s Defence area; in March 2012, Abdul Rehman Dashti, Gwadar’s district coordination officer, was shot dead allegedly by Imam Bizenjo himself in another part of the same locality. A Baloch separatist group claimed responsibility for the first incident. Its leader alleged that Imam Bizenjo and Yaqub Bizenjo were helping intelligence agencies against the separatists and that the bomb was a warning for them to desist from doing that. As for the second incident, investigation into it has not been completed even after six years. Imam Bizenjo was never arrested in the case, let alone interrogated or tried. Why would Imam Bizenjo murder Dashti given that the two were known to be close to each other? There are unconfirmed reports that the murder was linked to Imam Bizenjo’s drug trafficking business. There are suggestions, also unverified, that it could be connected to Gwadar’s real estate sector that has become a multibillion-rupee affair after the 2005 construction of a deep sea port in the city. Now his name is resurfacing — and again with reference to real estate. Kalmat Khor lagoon looks like a large tree if viewed from the air. It is two kilometres wide and 12 metres deep where the Arabian Sea enters the land but seven kilometres into the land it expands enormously to 27 kilometres in width and 19 kilometres in length. The lagoon, located 320 kilometres west of Karachi, almost halfway between the towns of Ormara and Pasni on the Makran Coastal Highway, covers an area of 102.25 square kilometres. It is surrounded by low hills which send a lot of sediment and silt into it during rains thus making it a perfect habitat for mangrove trees, say two botanists, Fayyaz Rasool and S M Saifullah, in a research paper published by the Karachi University in 1996. The lagoon is also a fisherman’s paradise. Fishing can happen here all year long, even during the monsoon season in summer when the open sea becomes too rough to fish. Local residents claim the Pakistan Navy is acquiring thousands of acres of land around the lagoon and, they allege, Ibrahim Bizenjo and Imam Bizenjo are the main beneficiary of this reported acquisition. Using their political influence and their ability to bribe government officials heftily, the two are said to have purchased more than 3,000 acres of land over the last few years from people living along the lagoon at paltry prices and are now expecting to make windfall gains by selling that land to the navy. Syed Essa Noori, a member of the National Assembly between 2013 and 2018 from the region that includes Kalmat Khor, falls short of repeating these allegations but says he has heard from many people in Kalmat and Pasni towns about a land deal being done between Ibrahim Bizenjo and the navy. Noori, though, blames a previous Balochistan government, headed by Dr Abdul Malik, for creating a land rush. That government revoked an ongoing land settlement process for Gwadar district’s Pasni subdivision, where Kalmat Khor is located, in 2013, thus mixing up state-owned land with privately-owned one, he says. A new land settlement process that followed still goes on, according to Noori. And it has created opportunities for people with money and influence to encroach upon state land and have it registered under their own names, he alleges. It has also helped them purchase lands at lower than market prices from individuals who risked losing land in their possession to either the state or someone else under the new settlement process, he adds. Whatever the reality, land settlement in the subdivision is still under way and its completion has been further delayed because Pasni does not have a land settlement commissioner. The post is lying vacant, says Muhammad Omer, the local assistant commissioner, who, in a green T-shirt and blue jeans, looks more like a sportsman than a government official. Omar acknowledges having received a Pakistan Navy request for land acquisition but insists that it cannot be entertained before the land settlement process has been finalised. Many residents of the subdivision claim that, regardless of the local administration’s refusal to acquire land for the navy without a final land settlement, there are signs that a silent acquisition is already taking place. 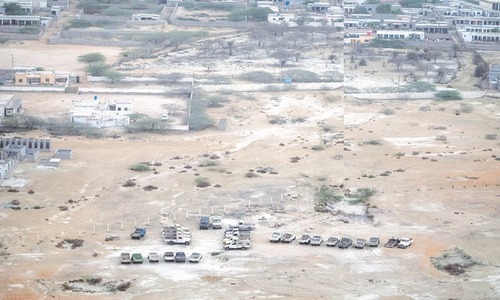 They allege the navy’s checkpoints are appearing overnight next to their villages and towns in the vicinity of the lagoon. Fishermen in Kalmat town say their access to Kalmat Khor has been blocked by security posts being built by the Pakistan Navy. Those from a village near the lagoon found their fishing nets burnt down to ashes early one morning in March 2018 near an under-construction Pakistan Navy post. They see the incident as a warning to them to stay away from the lagoon. Otherwise, they say, how could anyone burn the nets after the personnel at the post had assured them that they could leave their nets there without fearing any damage to them? When some fishermen later wrote social media posts about the torching of the nets, officials from the state approached them and gave them 50,000 rupees as compensation. Fishermen complain the compensation is not just inadequate but is also meant to suppress their grievances over the expansion of the navy’s physical presence in their area without a consultation with them. Haji Iqbal set out from his home in Turbat city on a cold morning in January 2010 to visit his farmland in a neighbouring area called Koh-e-Imam (or the leader’s mountain). When he reached there, he says, surveyors associated with the Pakistan Navy stopped him and did not allow him to enter what he thought were his own fields. The surveyors told him the navy had acquired the land that he claimed to be his and had also paid its price to the provincial government’s revenue department. Iqbal was shocked. No government official had told him that his land was being acquired by the navy. Nor had he received any money in return for it. He was also surprised. Why, he wondered, would the navy need his land located more than 100 kilometres inland from the Arabian Sea. Scores of other farmers in the area have similar complaints — that their land was acquired by the Pakistan Navy without their knowledge. “We only became aware of it when the navy started construction on our farmland and we were stopped from visiting our fields,” says Shabbir Ahmed Dashti, who claims to have lost 90 acres to the acquisition. Earlier, in 2008, the navy acquired another 2,500 acres of land in Kunchati village of Dasht subdivision which, like Turbat, is a part of Kech district. The method of acquisition in this instance, though, was different from the one applied around Koh-e-Imam. A team of navy officials is said to have approached Sohail-ur-Rehman who, as executive district officer revenue at the time, had the power to acquire any land in the district for official purposes. They reportedly apprised him about their desire to acquire land in Kunchati for a naval base but apparently asked him to find a way that allowed them to bypass the lengthy official procedures. The land was needed urgently. Rehman came up with a novel idea. He informed landowners in Kunchati that the provincial government was going to acquire their land at an official rate (which is usually much below the one obtained in the market) but they could avoid the acquisition if they willingly sold the land to the navy — at a premium. He then prepared two documents. One was an application by individual landowners. Its subject read: “Payment of compensation in lieu of area affected because of construction of a naval base (defence)”. The text of the application stated that x amount of land owned by person x was going to be affected by the construction of the naval base for which the government was paying compensation. “Please pay the compensation money,” the application asked the executive district officer revenue on behalf of individual landowners. Each landowner put down his personal particulars and that of his land in the application and signed it (or put the impression of his thumb on it if he was unlettered). The second document was an affidavit in which the landowners stated that they had received the compensation money. They also declared in it that they would hand over their land to the government after having received the compensation. The two documents were meant to give the process of land acquisition a semblance of being legal but it is still far from legal, say law experts. According to a high court lawyer based in Turbat, land acquisition by an institution of the state becomes legal only if it follows the laid down official procedures. No other process, however elaborate it may be, makes it legal. Yet the fact remains that none of the landowners in Kunchati has challenged the process in a court of law and the whole transaction is being seen as complete — and forgotten. There is another important aspect of this particular land acquisition. 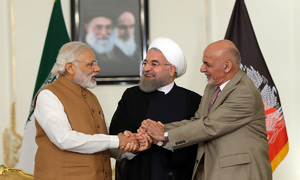 Kunchati, like Koh-e-Imam, is more than 100 kilometres inland which, in the opinion of political and human rights activists in the area, makes it a less than ideal location for a naval base. Also, no base has been built in the village even though almost 10 years have passed since the applications were submitted, affidavits signed and land acquired. Officials associated with the Pakistan Navy’s public relations department say land acquisitions in Gwadar district are being made to implement a new arrangement for the security of Pakistan’s coast and sea waters. Called Regional Maritime Security Patrol, according to a non-classified Pakistan Navy document, this arrangement will be implemented “in critical maritime areas/choke points within [the] Indian Ocean … in order to maintain a robust security posture and protect national and international shipping”. It will “contribute in projecting Pakistan as a responsible state shouldering Regional Maritime Security” and will enable the Pakistan Navy to protect national and international ships plying in the Indian Ocean from threats of piracy and maritime terrorism as well as to counter drug trafficking, arms smuggling and human trafficking. The patrols will also help the navy “in generating rapid support to contingencies like Humanitarian Assistance, Search and Rescue and Non-Combatant Evacuation Operations in times of need”. Another non-classified Pakistan Navy document explains that maritime activity is “set to grow exponentially” as soon as the Gwadar Port and the China-Pakistan Economic Corridor (CPEC) become fully operational. “This will include increased shipping activity to/from our ports as well as development of maritime economic zones along the coast.” But the success of both the CPEC and the Gwadar port is “intrinsically linked with conducive maritime environment along our coast”. The Pakistan Navy, therefore, “has taken a number of initiatives to ensure” the security of CPEC-related projects and those linked to the Gwadar Port as well as “to augment maritime security arrangements all along the coast”. The second document says the navy has raised a Coastal Security and Harbour Defence Force to “enhance vigilance and to respond to any emerging threat”. As a part of this force’s operations, a number of security stations, each equipped with surveillance and monitoring equipment, will be set up all along Pakistan’s coastline, from Jiwani in the west and Sir Creek in the east, it explains. The Pakistan Navy also raised Task Force-88 on December 13, 2016 for ensuring the security of the Gwadar Port, “its seaward approaches as well as CPEC-related and other maritime projects”. This task force includes air units, unmanned aerial vehicles, fast attack ships and shore-based surveillance equipment. If it were not for his grey hair, Naeem Bazai looks rather young. 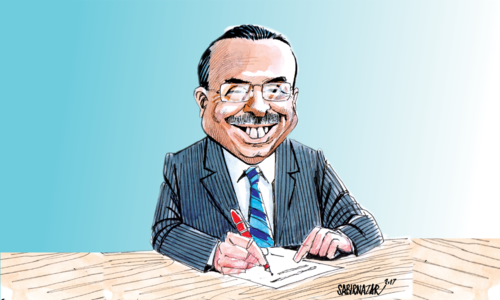 Sitting behind a large wooden desk in his office in Gwadar city, he is poring over a stack of office files and looks too busy to have time for responding to queries regarding land acquisition for and by the navy and other armed forces. 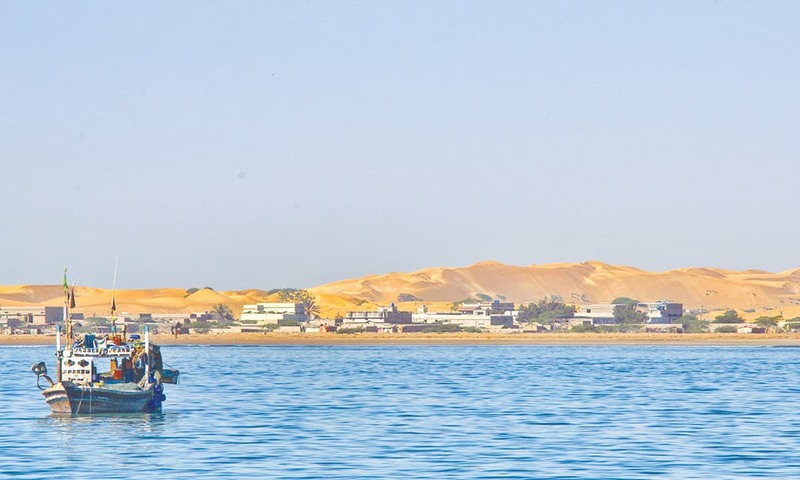 As deputy commissioner of Gwadar district (he is now transferred elsewhere), he had a huge area under his jurisdiction – the district’s coastline alone is around 600 kilometres long – and, consequently, a huge amount of administrative issues to take care of. He has already seen my business card before allowing me into his office but I introduce myself again. He then says he is not bound to share official information with journalists and advises me to contact revenue officials in Pasni to get the answer to my question. When I ask him if he has received 47 different demands for land acquisition in various parts of Gwadar by various state institutions, mainly the military ones, he responds: “This office does not initiate any land acquisition process merely on the request of the armed forces as they often do not deposit in advance the mandatory 25 per cent price of the land to be acquired.” He then pulls the files back in front of him as a signal for me to leave. His roundabout responses are certainly unhelpful in clearing the air of mystery and mistrust surrounding land acquisition by the armed forces which, according to official sources, is going to be larger than ever before. Official documents reveal that the ministry of defence, Pakistan Army, Pakistan Navy, Pakistan Air Force and National Logistics Cell (NLC) – all military-linked institutions – have asked the Gwadar Development Authority (GDA) to find more than 60,000 acres of land for them in different parts of the district. 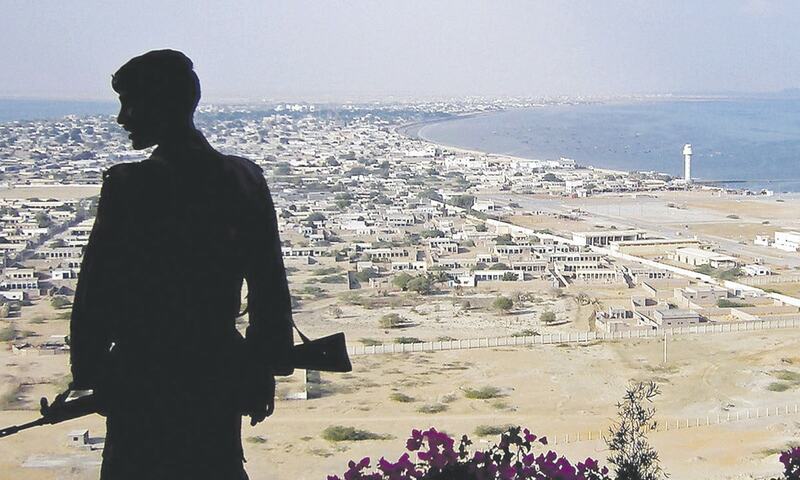 Most of the land the three armed forces want to acquire, though, is in Gwadar subdivision — closer to where the Gwadar Port and the Makran Coastal Highway are. A GDA official discloses, on the condition that he is not mentioned by name, that the Pakistan Army wants to acquire 45,000 acres of land for building a garrison near Gwadar city. It is also seeking land for its Special Services Group (190 acres), for NLC (1,000 acres), for joint defence purposes (9,270 acres) and for setting up another garrison in Gurandani South area (2,500 acres) besides asking for many smaller patches of land for other purposes. Similarly, says the official, the Pakistan Navy wants to acquire around 1,500 acres of land in different parts of Gwadar district. These demands have sent jitters among local realtors. On a hot and humid evening a couple of months ago, many local estate agents are sitting on plastic chairs in a circle in the porch of a bungalow in Gwadar city. They are discussing what kind of impact these massive land acquisitions may have on the real estate market in the area. One of them explains that a lot of land being sought by the armed forces falls in localities where private firms and individuals have invested billions of rupees in real estate. If and when those lands get acquired by the state, he says, their owners will get the official price for them which is always lower than the market rate and may turn out to be below their own purchase price. “What will happen to their massive investment?” he wonders. What lies behind the gates of Pakistan's elite communities? Awesome research must have yielded such massive information. Good job. Our motherland has been maercilessly looted and plundered on a scale which has surpassed even the colonial Brits. Thank you so much PML-N and PPP for your services. @Shah "Our motherland has been maercilessly looted and plundered on a scale which has surpassed even the colonial Brits. Thank you so much PML-N and PPP for your services" Did you even read the article before adding that generic and naive cliche of a comment? Are the beneficiaries the politicians or some gangsters with the non-politicians? Just be a bit emphatatic about the precarious plight of normal civilians in any province, even Punjab. Enough said. @ SHAH, let's see what the PTI 'government' can and will do to stop it, being puppets of the same forces that are (and have been ever since this nation claimed so-called independence) busy grabbing the nation's resources, selling it off and transferring the wealth to their foreign accounts. I hope our P. M. Imran Khan must have learnt about how thw Shezhen China had evolved. @Shah But what to do of those land lords and feudal, who are part of every political party. The will loot the again and again. The State institutions running roughshod over the clueless people. Military and their dirty businesses. Poor will remain poor even in this Naya Pakistan.